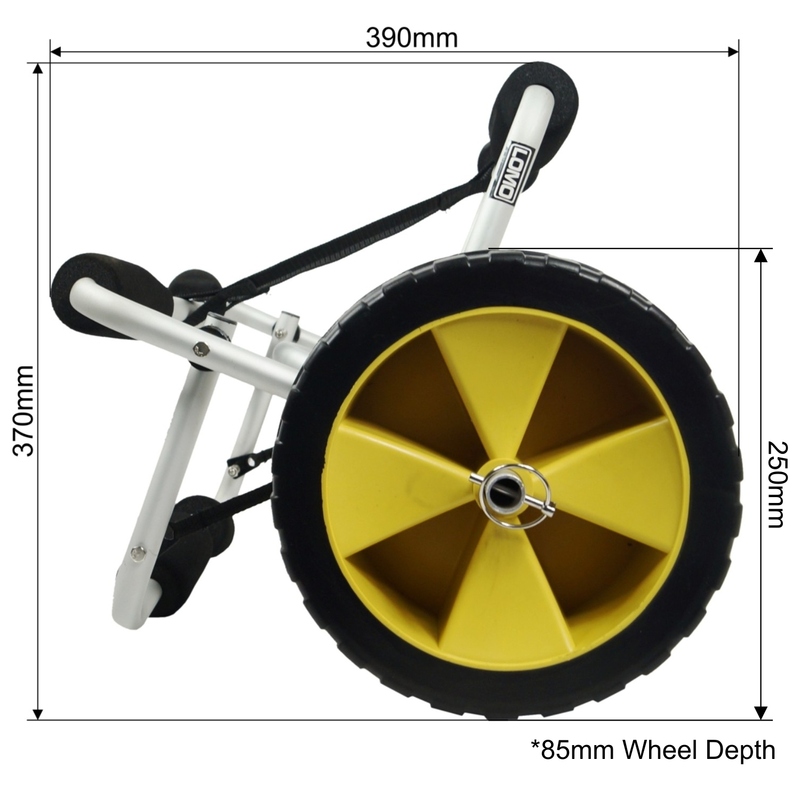 Our top of the range Model C kayak trolleys are ideal for many different sizes of kayaks and canoes and the latest solid rubber , wide format tyres. 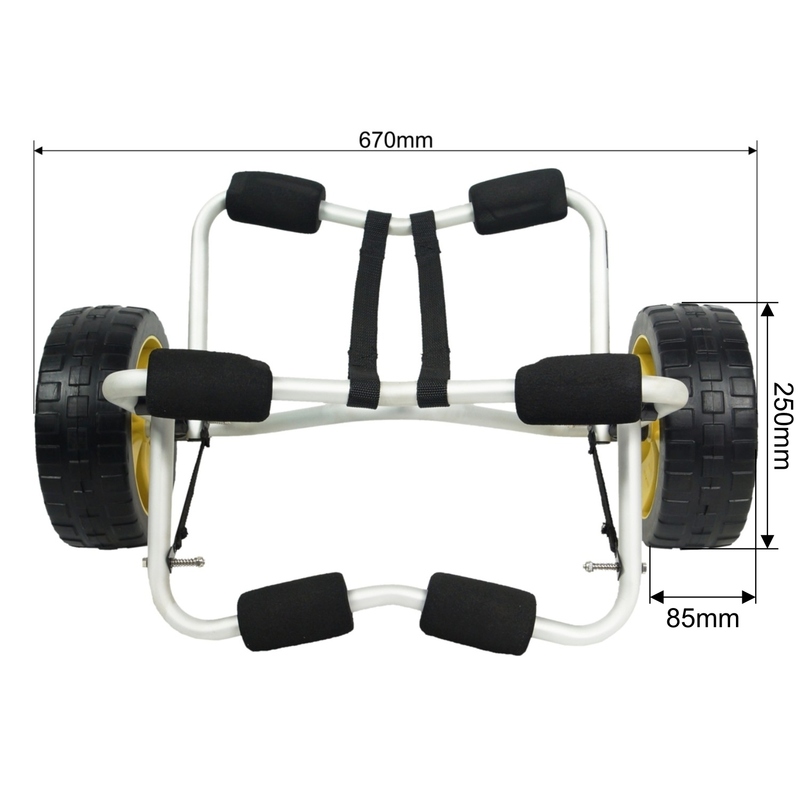 The tyres on this trolley will not puncture as they are made from a durable and pliable rubber. Although solid in design , the trolley still gives a cushioned ride. 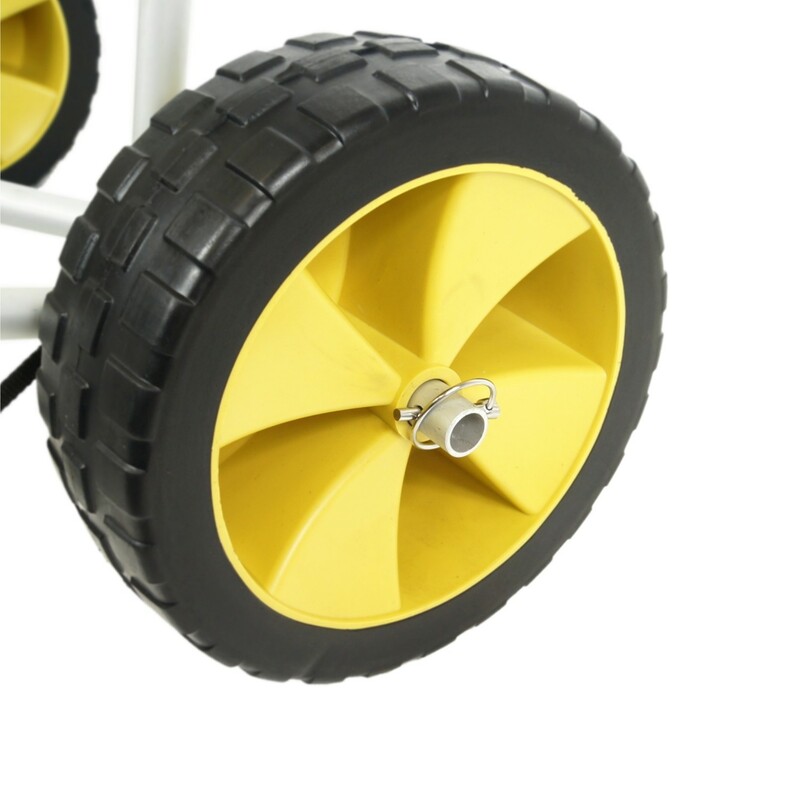 The wider wheels give excellent support in soft ground such as sand or wet grass and is less likely so sink in than rounder tyres. 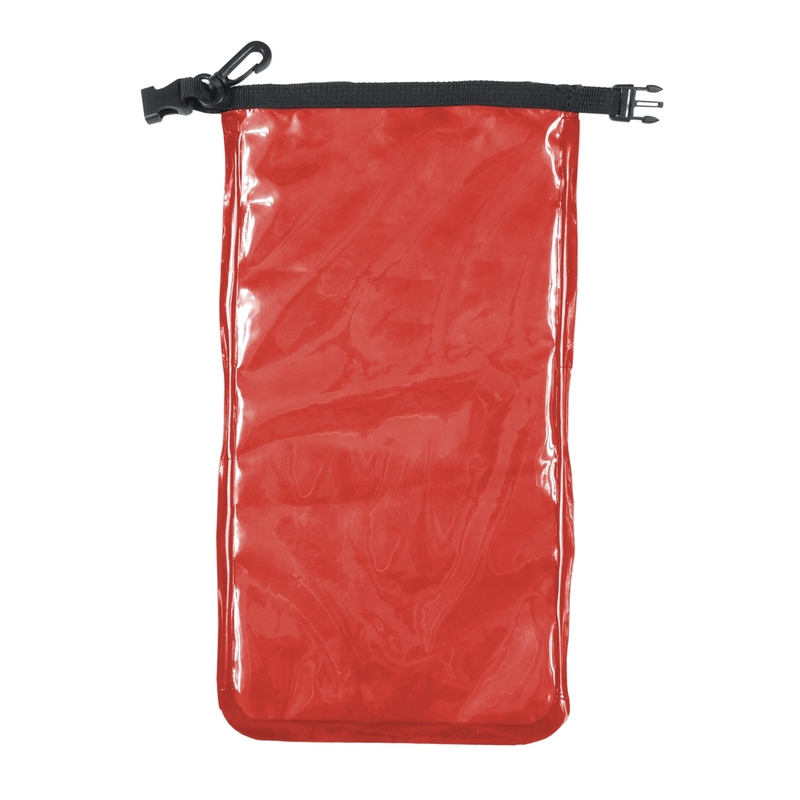 Your kayak is held on top of the trolley using the clip together tie down strap which are supplied. Using this strap helps keep your kayak on top on the trolley when travelling over rougher ground. The kayak trolley is made of anodised aluminium with stainless steel and plastic fittings which makes it resistant to corrosion but we do reccomend rinsing it in fresh water after use. 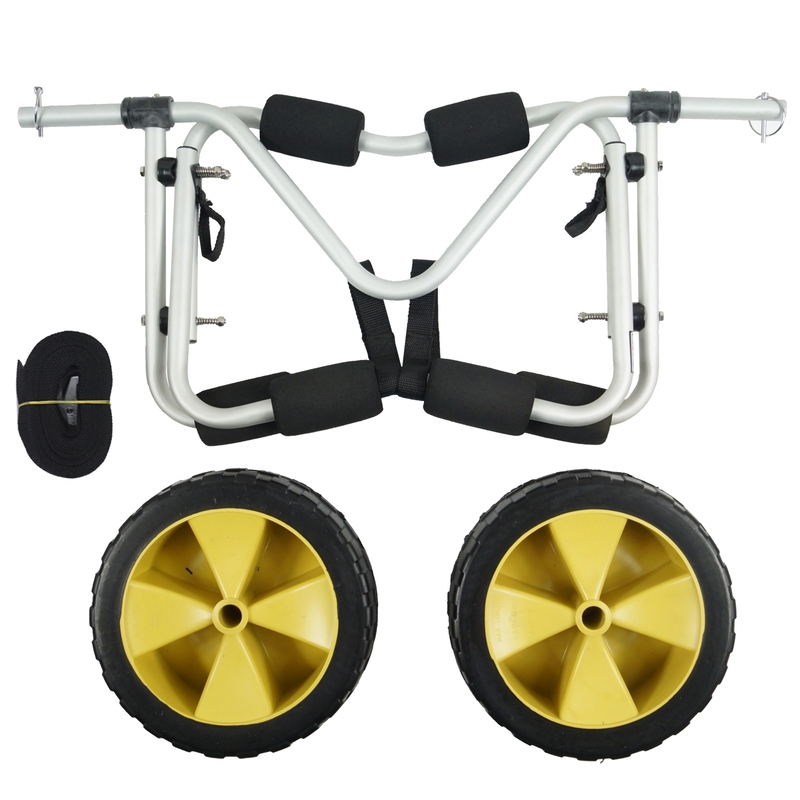 The wheels of the trolley are removable by removing the two quick pins from the axle and simply sliding the wheels off to the side. This only takes a couple of seconds to complete. 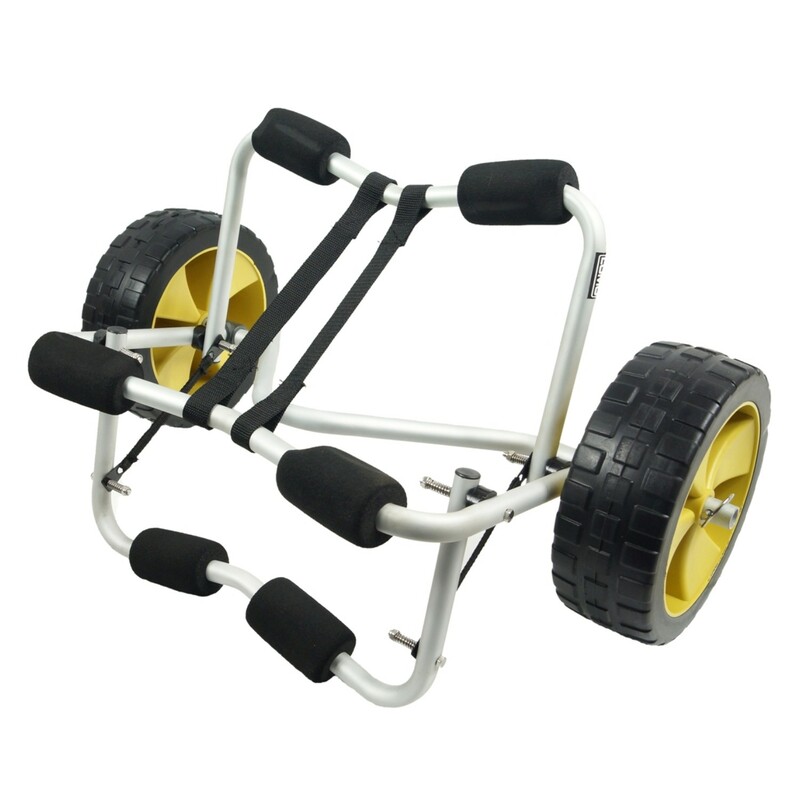 The trolley will fold flat allowing easy stowage. 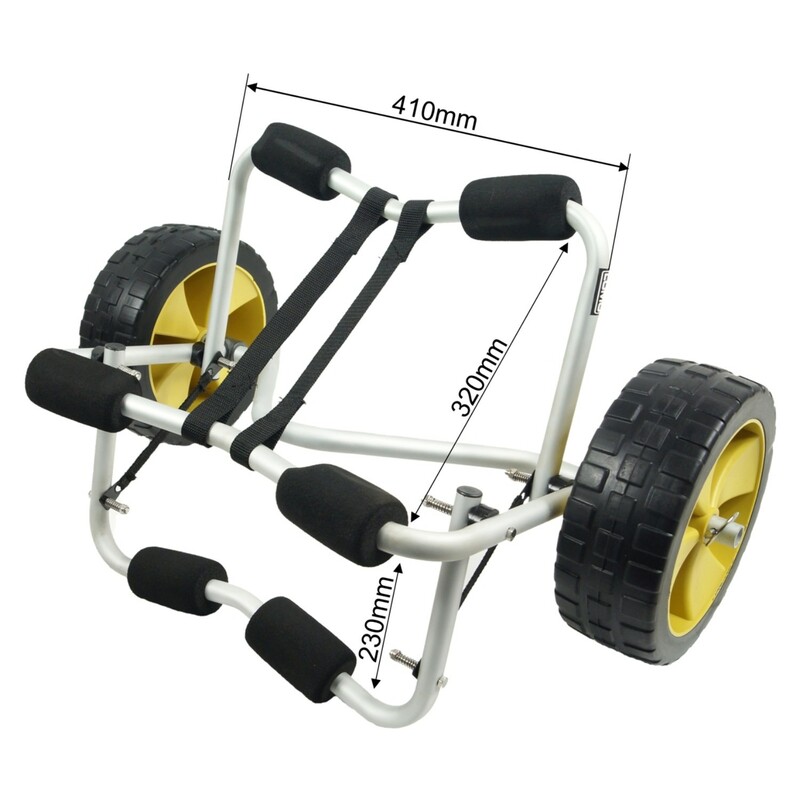 This model of kayak trolley will be too large to fit in the hatches of most sea kayaks but can be lashed to the deck of a boat if you wish to take it with you. The use of kayak trolleys is increasingly popular as more and more people discover the joys of sea kayaking and wish to take their boats to more and more remote locations. A kayak trolley can allow a single person to move a kayak with ease that would normally require two people to move it. Kayak trolleys like this make portage much easier and can more than half transit times between locations. For some people it might just be the journey from their car to the water's edge; for others they may wish to move their kayak inland to camp, or to move to a different part of an island for a launch. But whatever the journey, a kayak trolley is likely to make it a much faster and easier experience. 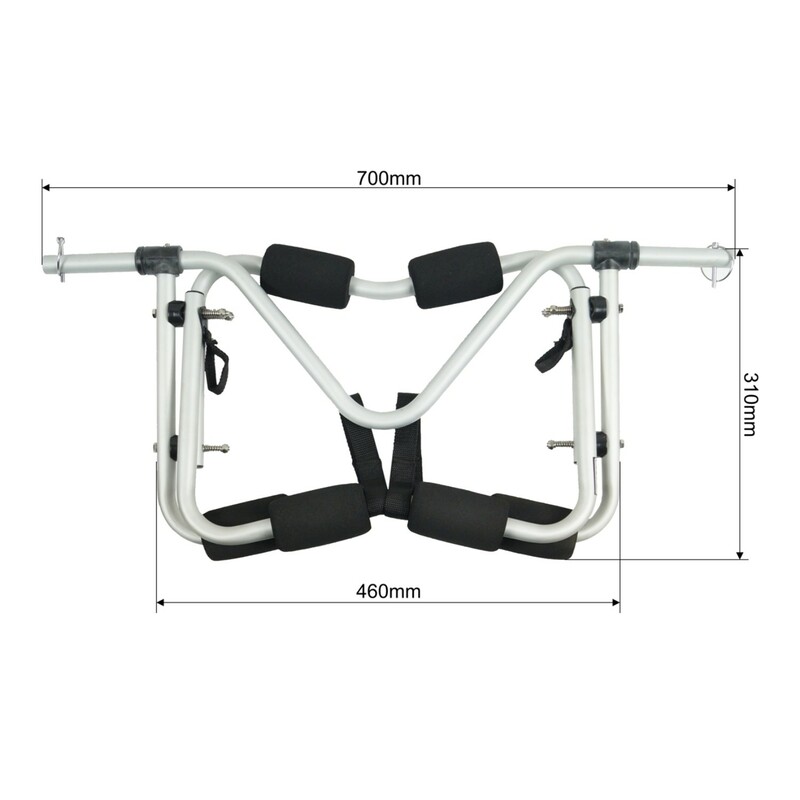 Because of its likely use around sea water the kayak trolley is made from anodised aluminium and all the metal fittings are made from stainless steel. We do recommend you rinse the trolley down after use in sea water through to prevent a build up of salt in the mechanism and extend its life.